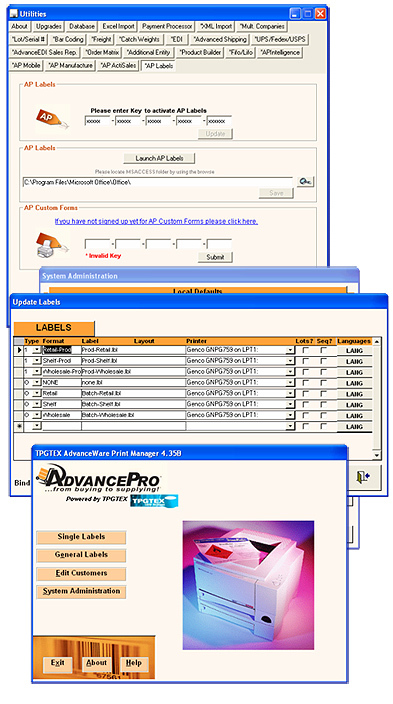 APLabel allows the creation of Labels based on data imported from AdvancePro. The APLabel module includes complimentary installation assistance and some initial training. Through our partner TPGTEX Label Solutions additional training, labels creation services, labels and printers are available. APLabel includes full third party label design program license. Direct Connection to inventory and product information. 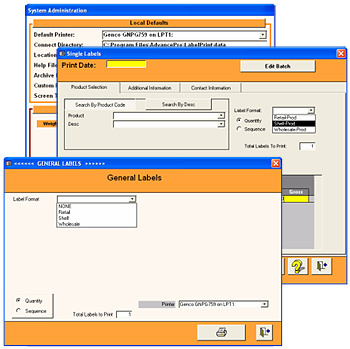 Full features label design program.